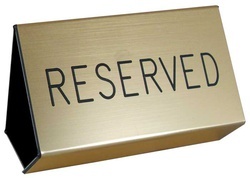 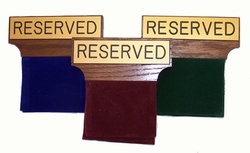 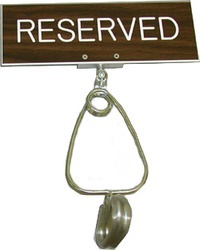 Flexible reserved pew signs are shaped to clamp onto pew backs or cloth chairs. 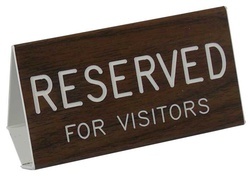 Great for weddings, ceremonies, special guests, etc. Manufactured by Swanson Christian Products in both gold formica and walnut grain finishes to designate seating for visitors, children, ushers, families with small children, and families with infants. 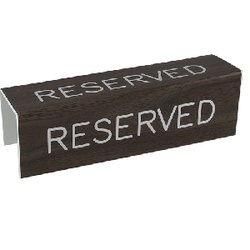 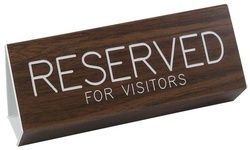 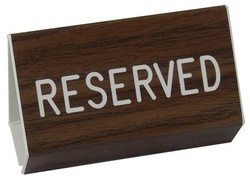 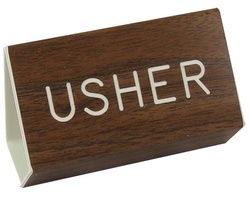 "Reserved For Visitors" Pew Sign in Walnut Grain - 3" x 4"